Bu çalışmada hafif ticari araca ait kanatçıklı soğutmalı ön fren diskleri kullanılmıştır. Testlerde kullanılan disk 257 mm dış, 150 mm iç çapa, 22 mm kalınlığa, 5328,73 g ağırlığa sahiptir. Numune ise plazma sprey tekniği kullanılarak Cr2O3 ile kaplanmıştır. Kaplanmış diskin performans standartlarına uygun olarak atalet dinamometresinde alış(tır)ma ve ısıl titreşim (hot judder I-II) özellikleri incelenmiştir. Yapılan testler öncesi ve sonrasında disklerin kalınlık ve kütlesel ölçümlerinin yanında yüzey pürüzlülük değerleri de ölçülerek aşınma oranları tespit edilmiştir. Ayrıca testler sonrası disklerden alınan numuneler TS EN ISO 9227 test standardına uygun olarak korozyon testine tabi tutulmuştur. Anonymous, How to read and understand the aftermarket standard SAE J2430/brake effectiveness evaluation procedure test report, Link Testing Laboratories B.E.E.P. task force, 2002. Bijwe, J., Nidhi., Majumdarb, N., Satapathy, B.K., Influence of modified phenolic resins on the fade and recovery behavior of friction materials, Wear, 259, 1068–1078, 2005.Blau P.J., Jolly, B.C., Qu, J., Peter, W.H., Blue, C.A., Tribological investigation of titanium-based materials for brakes, Wear, 203, 1202-1211, 2007.Chichinadze, A. V., Temperature Distribution in Disk Brake’’, Friction and Wear in Machinery -15, 259-275, 1962.Clare, J.H., Crawmer, D.E., Thermal spray coatings, Metals Handbook, 5, 361-Halamoğlu, T., Metal Püskürtme Yöntemiyle Aşınmaya Dayanıklı Kaplamalar, Yüzey İşlemler Dergisi, Eylül-Ekim,2003 Syf.154-159375, 1982.Demir, A., Çavdar, A., Kılıçaslan, İ., Diskli Frenlerde Termo-Elastik Kararsızlığın İncelenmesi”, Uluslararası Mesleki ve Teknik Eğitim Teknolojileri Kongresi – MTET, 2006.Demir, A., Fren Disklerine Uygulanan Kaplamaların Frenleme Performansına Etkisinin Deneysel İncelenmesi, Kocaeli Üniversitesi, Fen Bilimleri Enstitüsü, Makine Eğitimi Anabilim Dalı, 2009.Demir, A., Samur, R. and Kiliçaslan, İ., Investigation of the coatings applied onto brake discs on disc-brake pad pair, 12-20, 2008.Dmitriev, A.I., Yu Smolin, A., Psakhie, S.G., Österle, W., Kloss, H. ve Popov, V.L., “Computer modelling of local tribological contact by the example of the automotive brake friction pair”, Physical Mesomechanics, 11, 1-2, 73-84, 2008Ellis, K., The effect of cast iron disc brake metallurgy on friction and wear characteristic, The 2nd International Seminar on Automotive Braking Recent Developments and Future Trends, Britol, UK, (1998).Göktan, A., Güney, A., Ereke, M., Taşıt Frenleri, Alliedsignal Automotive, Türkiye, Panel Matbaacılık, ISBN 975-95017-0-8, 1995.Halderman, J.D., Automotive Brake Systems, Second Edition, Prentice-Hall, 2000.Lee, K., Barber, J.R., An experimental investigation of frictionally excited thermoelastic instability in automotive disk brakes under a drag brake application, Journal of Tribology, 116, 3, 409–414, 1994.Lee, K., Numerical prediction of brake fluid temperature rise during braking and heat soaking, SAE Technical Paper Series, 1999-01-0483, 1999.Limpert, R., “Brake Design and Safety”, Third Edition, Society of Automotive Engineers, Warrendale, 2001.Malcolm K. Stanford, Vinod K. Jain., Friction and wear characteristics of hard coatings, Wear 251, 990-996, 2001.Mingxi, L., Yizhu, H, Xiaomin, Y., “Effect of nano-Y2O3 on microstructure of laser cladding cobalt-based alloy coatings”, Applied Surface Science, 252, 8, 2882-2887, (2005)Natarajan N, Vijayarangan S, Rajendran I., Wear behavior of A356/25SiCp aluminum matrix composites sliding against automobile friction material. Wear 261, 812–822, 2006.Öz, A., Aşınmış Taşıt Fren Disklerinin Kaplama Tozları İle Kaplanarak Yeniden Kullanılabilirliğinin Deneysel Araştırılması, Süleyman Demirel Üniversitesi Fen Bilimleri Enstitüsü, Doktora Tezi, Makine Mühendisliği Anabilim Dalı, Isparta¬, 2012.Smith, R.W., Fast, R.D., The future of thermal spray, Welding Journal, 7, 3 (8), 43-50, (1994)Stanford, M.K. 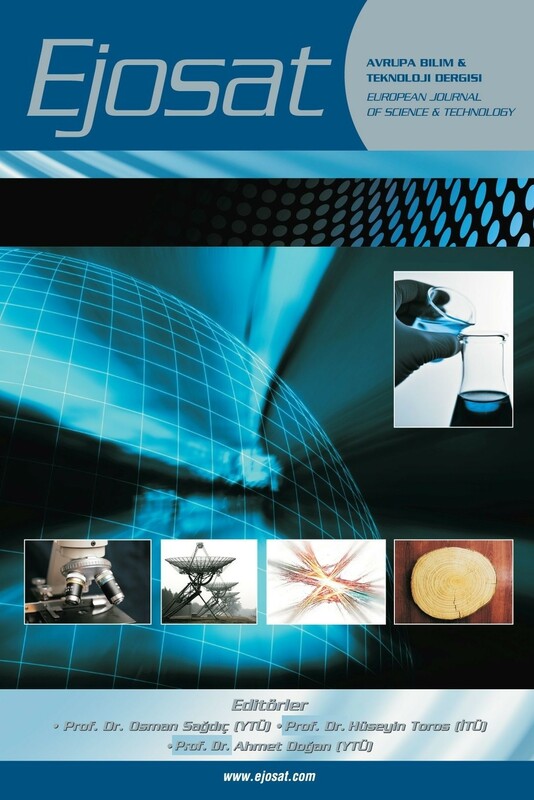 ve Jain, V.K., Friction and wear characteristics of hard coatings, Wear, 250/51, 990–996, 2001.Sulzer Metco: Thermal Spray Materials Guide, Şubat 2006.Thuresson, D., Influence of material properties on sliding contact braking applications, Wear, 257, 451-460, 2004. Uyyuru RK, Surappa MK, Brusethaug S., Effect of reinforcement volume fraction and size distribution on the tribological behavior of Al-composite/ brake pad tribo-couple, Wear, 260, 1248–1255, 2006.William C. Orthwein, Clutches and Brakes Design and Selection, Second Edition, ISBN: 0-8247-4876-X, Marcel Dekker, 2004.